Agencies will collaborate on the account. Freesat has appointed Electric Glue and Roast to handle its media planning and buying, spanning TV and digital. Electric Glue has worked with Freesat since September 2018 but was focused solely on TV. Roast replaces Havas Media, which had worked with the satellite TV platform since 2008. The two agencies, which were appointed after a competitive pitch, will take charge of the account from the end of April, working alongside each other as well as with creative shop Mr President. Electric Glue was founded by former ITV director of creative solutions Simon Orpin, while Roast was founded by Ollie Bishop. The agencies work together on a number of accounts, including Rightmove. 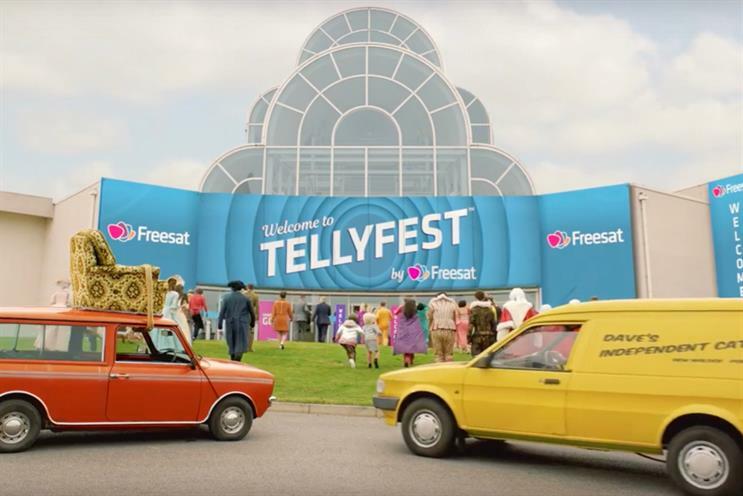 In November last year, Freesat launched a TV ad created by Mr President that paid tribute to Britain's most enthusiastic TV watchers with a fictional convention bringing together fans dressed up as their favourite characters. Andre Santos, Freesat's marketing director, said: "We’re extremely grateful to Havas for their support over the last 10 years and for helping us to establish Freesat as a brand that now delivers free-to-air TV to over two million UK homes. "However, as we move into a new phase in the company’s history, the time was right for a review about how media can help us achieve our business objectives."